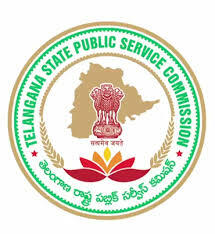 TS Forest Ranger Officer (FRO) Paper-3 Answer Key 2017, TS FRO Paper-III Answer key 2017 Download, TS FRO Paper-I Answer Key Download – Telangana Public Service Commission (TSPSC) has successfully completed written exam for Forest Ranger Officer exam on 11th & 12th November 2017, Lot of candidates have appeared in the written exam to get a job. Now they all searching for answer key of FRO 2017.
Who was mainly associated with Telangana Information trust from among the following? The krishi vikas yojana of the government of india envisages the development of the following in india? What was the popular name for Telangana March held on September 30, 2012? What is the duration of zero hour? Between 15th august, 1947 and 26th January 1950, the government of india functioned under the provisions of ? WHICH OF THE FOLLOWING STATES IN INDIA IS EXEMPTED FROM RESSERVATION FOR SC IN PANCHAYITI RAJ INSTITUTIONS? The 86th constitutional amendment bill deals with? As per the data provided in the hand book on telangana at a glanee-2017 the literacy ratye among sts in telangana is?